The men behind the upcoming Attack on Titan 2 unleash the first real info on what you can expect on the upcoming early 2018-bound game. 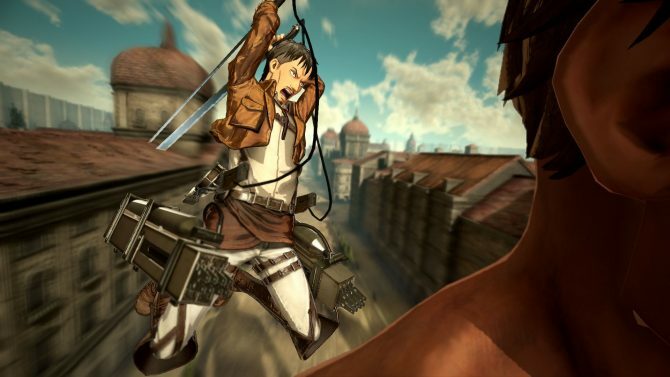 Building on the experience of the first Attack on Titan game, Koei Tecmo announced Attack on Titan 2 at Gamescom in Cologne, but they really did not provide much information about the title and how it will differ from its predecessor. 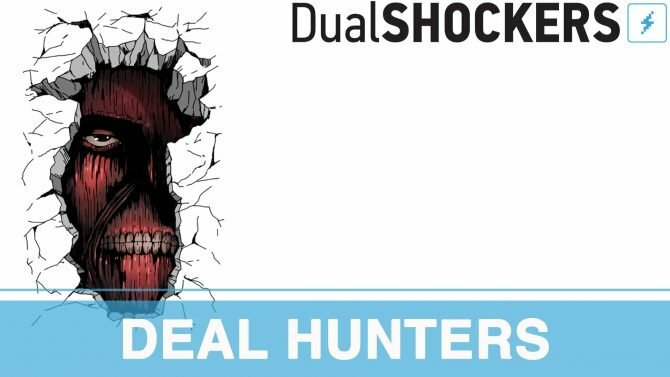 In order to know more, DualShockers sat down Koei Tecmo President and Chief Operating Officer Hisashi Koinuma, and Omega Force Manager Hideo Suzuki, who talked extensively about what we can expect. First of all, we quizzed Koinuma-san on one of the most relevant aspects that were left out from the initial announcement, the platforms. 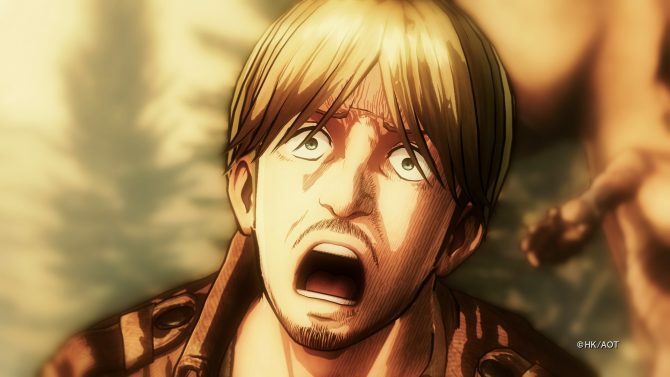 Surprisingly, he actually provided a fairly precise answer: while not all the platforms have been decided on at this stage of development, he confirmed that the Attack on Titan 2 will release for PS4 and Xbox One. The goal for the team is to be able to show more of the game and announce the final list of platforms between October and November. 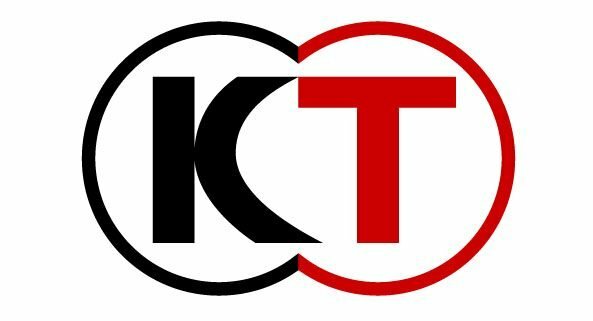 Ultimately, Koei Tecmo would like to bring the game to as many anime fans as possible, and they’re aware that the fanbase is very diverse in relation to which gaming machines they use. Pressed on whether a Nintendo Switch version is possible, Koinuma-san clarified that it’s not impossible, but he can’t promise it for the moment. The team still needs to investigate the technical challenges involved in posting the title to new platforms before a final call can be made as development progresses. Both PS4 Pro and Xbox One X will be supported with improvements on visuals and possibly frame rate, but no further details were provided beyond that. The initial announcment also teased new gameplay systems, but didn’t include any specifics. The main focus of the first game was conveying the fun of using the omni-directional maneuver gear on consoles, and as a result fighting titans was actually quite straightforward. The second game will bring some evolution there. 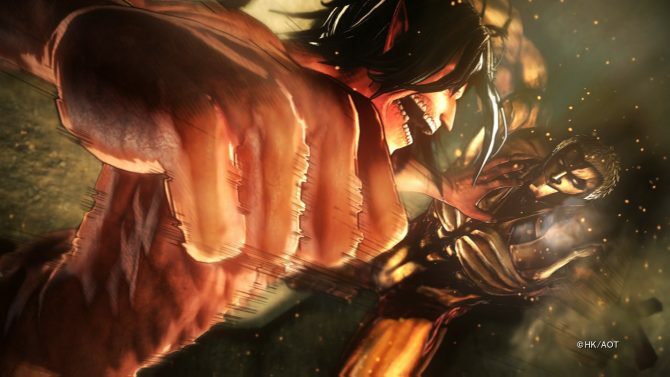 Koei Tecmo received a lot of feedback mentioning that titans were too easy to kill, so improvements will be implemented to make battles more complex and challenging. The story will follow the second season of the anime, improving on the ways players can enjoy the storyline. We will be able to get to know the characters better thanks to more interaction with them. Online multiplayer is also being improved on, possibly with new modes. In the first game, co-op was added as an update for Japan, while it was included at launch in the west. This time around the aim is to release worldwide simultaneously, including co-op from the get go. Like in the first title of the series, on top of the main story of the second season of the anime, there may be original side-stories created specifically for the game. 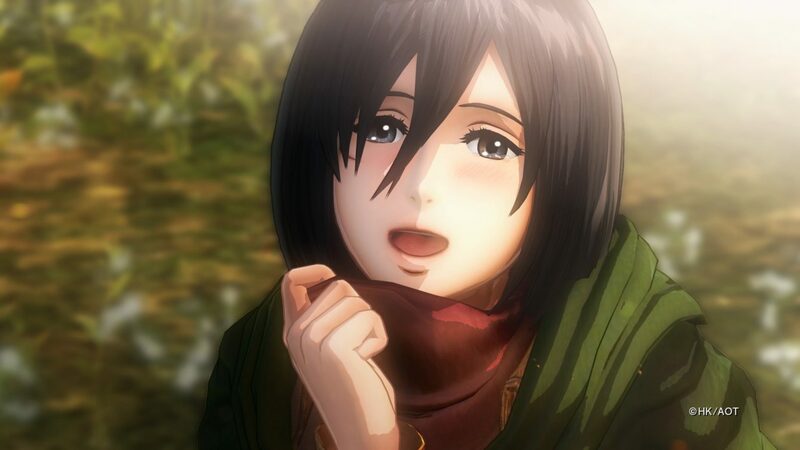 Koei Tecmo’s otome-oriented brand RFuby Party recently released a 3DS game that introduced some quite prominent romantic elements to the series, but Koinuma-san mentioned that this won’t be done with Attack on Titan 2, since it wouldn’t fit the concept of the game and its world, that is being created in collaboration with the mangaka Hajime Isayama himself. On the other hand, the team is trying to showcase new sides of the characters we know and love, that weren’t as visible in the anime, but are actually fitting to their personalities. Fighting against titans wasn’t the only straightforward thing in the original game. The same (and maybe even more so) could be said about fighting as a titan. Developers are planning to improve that as well, alongside basically every element of the gameplay. Interestingly, Koinuma-san is a big fan of destructible environments, so he already briefed Suzuki-san to improve the visual aspects of destruction so that it’ll look cooler. Another element that will get a boost is the base camp, which will become bigger, almost like a small city, with the addition of storytelling elements as well. This will provide some variation to the linear structure of the first game, that was pretty much a sequence of battles and cutscenes. There will be a lot more interaction with characters in the camp, and talking to them will also advance the story. Visiting the camp and getting to know each member of the cast will be a lot more fun, compared to talking to people that were just standing around in the first game. One of the goals for the title is to make it accessible to every fan of the anime, regardless of whether they are core gamers or not. Even within Koei Tecmo itself there was some discussion about the controls of the first game being a little tough. Koinuma-san mentioned that this may appear a little cliche, but especially female staff came up with that kind of criticism, which is why they thought that they should have more ladies work on the QA testing for the sequel. The goal is to find a good balance where the game will be easily accessible, but still challenging for core gamers. There have been talks about having different control settings, but it’s too early to make a final decision on this. 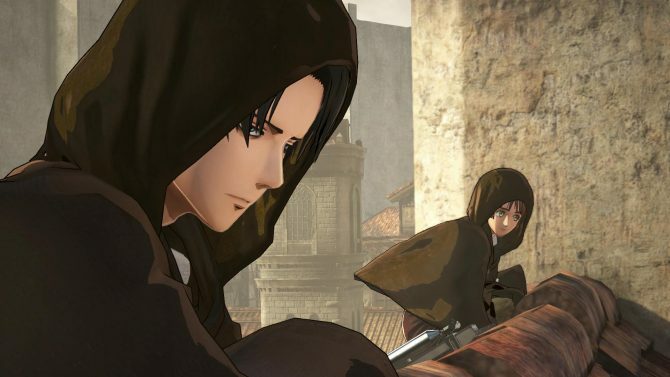 The team considered the idea of making the game more similar to an open world structure, but in the original anime the main characters are pretty limited in their movements, being normally locked behind walls, or into a formation even when outside of said walls. Based on this, it was decided to stick with separate stages. This was a conscious design choice to match the feel of the original story. As a final funny note, since I had the ear of Koei Tecmo’s President I did not hesitate to ask about the situation of the Dead or Alive series, mentioning that it has been a while since the release of Dead or Alive 5: Last Round, and we’re now on the seventh season pass, so many would certainly like a new game, but all I got is that he’ll convey that feedback to the development team. Sorry folks. I tried. Attack on Titan 2 is coming in early 2018, and you can check out the original announcement. The game won’t be playable at Tokyo Game Show, but it’s expected to get a new trailer, and a livestreamed presentation on September 23rd.